“We have entered an area of ‚Disruption‘ where progress in technology is taking place at record speeds and driving new societal attitudes. 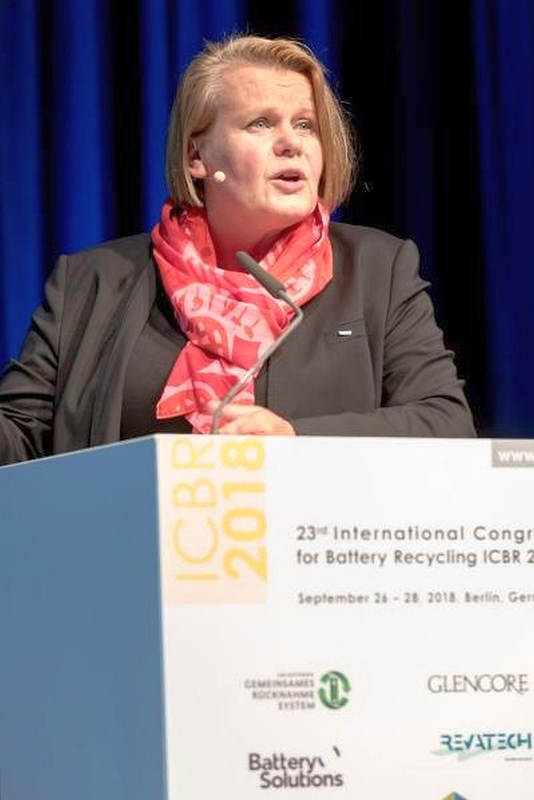 Portable and industrial batteries are playing a key role in this technology and societal evolution”, so the introductory remarks by Dr. Jean-Pol Wiaux, Cairman of the Steering Committee International Congress of Battery Recycling (ICBR) – the 23. ICBR took place from 26. till 29. September 2018 in Berlin/Germany. What challenges will the battery recycling industry face in the future? How will the market and recycling technologies develop? And what progress has been made in the safe handling of lithium-ion batteries? 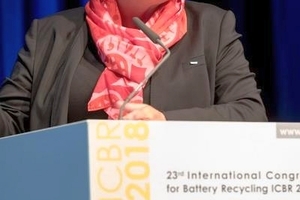 These were just some of the topics discussed at this year‘s International Congress for Battery Recycling ICBR 2018. 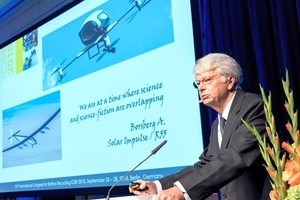 Around 270 experts attended the annual industry meeting – more than ever before. 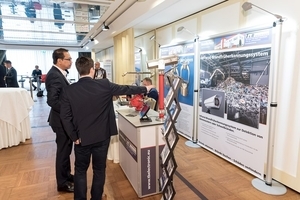 The three-day congress program was once again extensive and attendees experienced 30 specialist presentations, two panel discussions and a workshop as well as two plant tours at the companies Nickelhütte Aue GmbH and Electrocycling GmbH in Goslar. The congress was kicked off by Professor Kerstin Kuchta from Hamburg University of Technology with the presentation: “Batteries and a Circular Economy”. She spoke about the market for batteries and the opportunities and challenges that arise for the recycling industry. Two further keynote speeches dealt with the topic of transportation: Didier Marginèdes from the French company Blue Solutions spoke about changes occurring in the transport market – away from delivering transport and towards delivering solutions. Topic of his lecture was “From delivering transport to delivering solutions.” He put his presentation under the motto „The future of earth will be urban“, whereby he pronounced that the mobility would increase extremely - both in the passenger transport and in the transport of goods. This places high demands on infrastructure and environmental aspects. 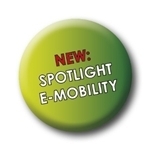 New mobility models are in demand here - car sharing, e-buses, electric cars. Of course, this requires technology available to a broad population, logistics for the recharging of e-vehicles and a subsequent recycling chain in order to meet the demand for raw materials. Gudula Schwan from the Federal Ministry of Transport and Digital Infrastructure in Germany addressed in her presentation “The importance of dangerous goods – regulations for recycling of batteries” the importance of the comprehensive consideration of requirements during the whole life cycle of batteries as well as to peculiarities depending on the composition of the batteries. Other presentations dealt with the effects of EU policy on battery recycling. Jos Mossink from the European Chemicals Agency (ECHA) reported on the effects of the EU chemicals policy on battery recycling. Chris Heron from Eurometaux described the connection between the European metals policy and the recycling industry. 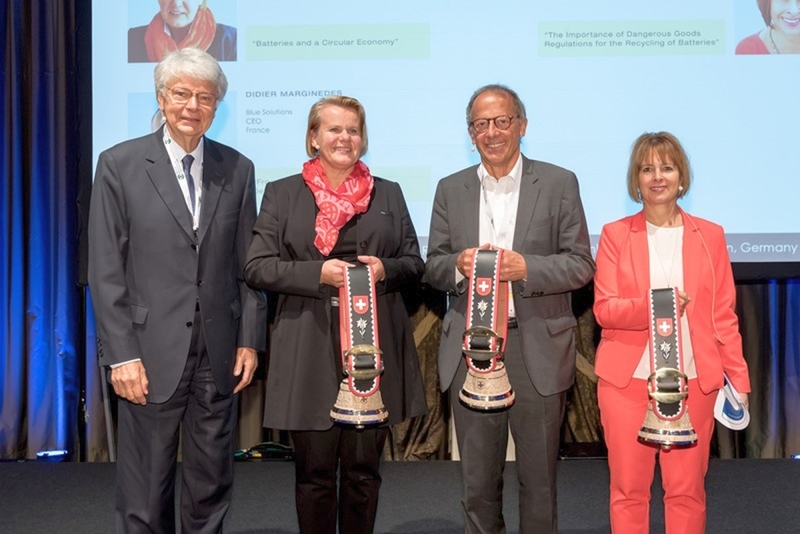 The presentations were supplemented by reports on market conditions for battery recycling and new technological developments. 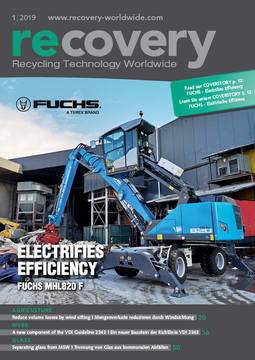 The focus was also on safety in handling lithium-ion batteries as well as their recycling. The congress additionally dealt with the development of electric mobility and its impact on the recycling of car batteries. The two panel discussions on Portable Batteries and Industrial Battery 2nd Life also met with great interest. 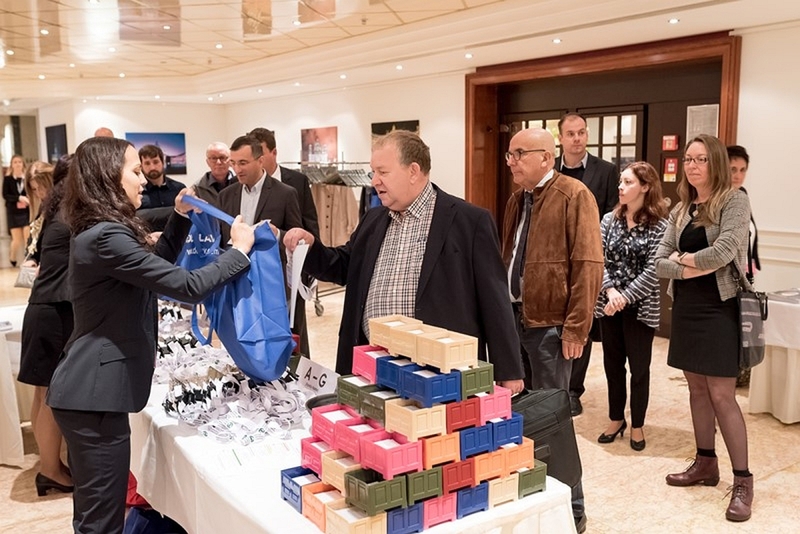 At the last conference day the participants had the orportunity to take part at one of two possible excursion – to the Nickelhütte Aue or to Goslar to visit the ELECTROCYCLING GmbH. 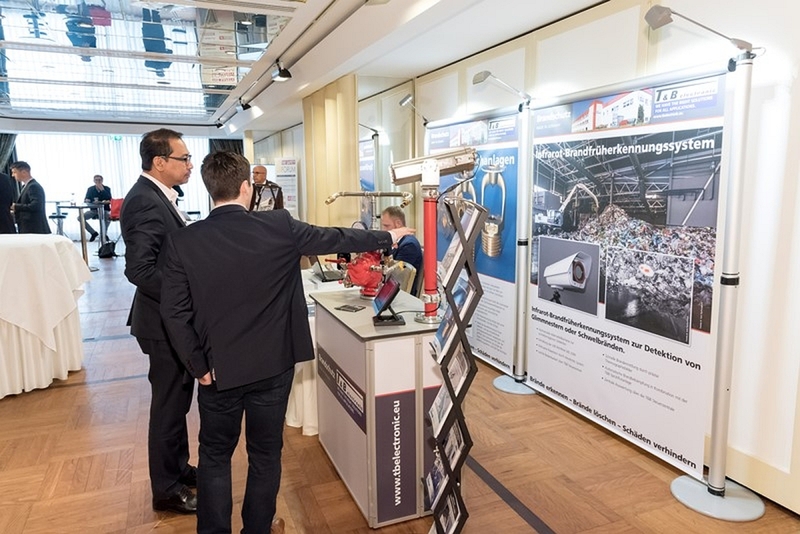 The Nickelhütte Aue GmbH is specialized in the reycling of waste materials containing non-ferrous metals. The facility is especially interested in Nickel, Copper, Cobalt, Vanadium, Molybdenum and precious metals containing spent catalysts from chemical and pharmaceutical industries but also from petrochemical industries and from hydrogenation processes of oils and fats. Seven years of experience in the recycling of Li-Ion batteries and a following production of Ni, Cu and Co quality chemicals out of these waste materials offers their customersan unique recycling loop. Nickelhütte Aue GmbH is a fully certified and pre-authorized waste facility according to the UN Basel convention. ELECTROCYCLING was founded in 1994 and always pursues an innovative approach to recycle old electronic devices. Our Facility not only is one of the most advanced in Europe, it also is one of the largest ones with regard to its capacity of 80 000 tons of WEEE per year. Electronic waste and old electrical devices are treated in several steps until pure raw materials such as iron, aluminum, copper, glass and plastics are segregated. The obtained substances are used as secondary raw material in new products. By employing the latest technology we are currently capable of reintroducing more than 80 % of all processed material in the economic cycle. About 18 % of it gets into energy recovery and less than 2 % is disposed in an environmental sound way. 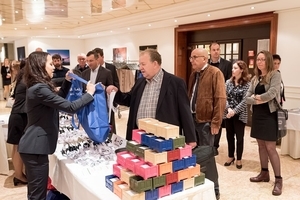 Again, the congress was accompanied by an exhibitors‘ forum. Congress attendees had the opportunity to find out which innovations are currently on the market by talking to exhibitors at the venue. And last but not least, there was sufficient opportunity for networking and getting to know one another at the Networking Dinner, which this time took place in the Berlin theatre „Bar jeder Vernunft“. In the coming year there will again be ample opportunity to exchange ideas with colleagues and industry representatives. The ICBR 2019 industry meeting will be held in Lyon/France, from September 18 to 20, 2019.